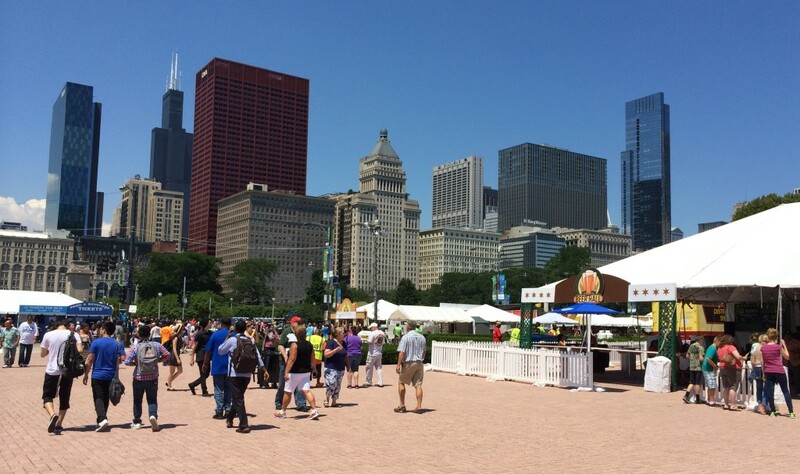 The annual Taste of Chicago launched this week – once again showcasing various delectable tasty treats, cool brews to wash it down, and crowds of hungry people. But through the masses I had the chance to sit down with one in-the-know individual and interview him. Q: What’s your favorite part about Taste of Chicago? A: That is truly such a tough question. There is so much going on that makes the entire experience what it is. I would have to say I personally love the ability to snag quick little portions of amazing food and some of the best grub Chicago has to offer. I can grab a small deep dish slice, some Bourbon Street chicken jalapeño nachos, the always famous smoked alligator sausage, all while sipping an ice cold 312 and enjoying some amazing local talent on stage throughout the whole day. 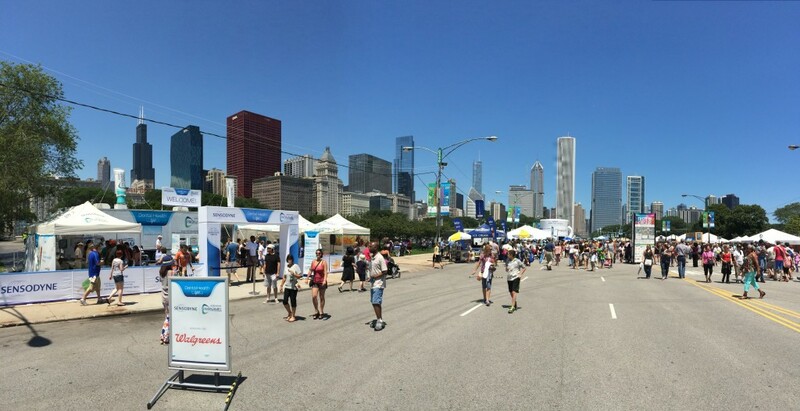 Taste really brings together a true Chicago experience that may take someone months to complete, only in matter of beautiful 5 summer days. I also get a kick from the all the food tents yelling and howling all day long. It truly wouldn’t be the same without them. Q: What’s the best way to live the Chicago Lifestyle? A: Oh man, that’s an even tougher question! Well first of all, this may sound weird, but save seeing the bean and all that classic mumbo for another day. Come hungry and ask around for the best local grub in that area. Chicago is home to such great restaurants that each provides their own unique experiences. If you have the time, do everything you can to go see a daytime Cubs game and park yourself right in middle of the left field bleachers. They may not serve Old Style anymore, but man, are those bleachers such a fun time. Grab some friends, go root on the city’s die-hard loved Cubbies and just wait till the 7th inning when the bleacher all stars start heckling the other team and make everyone laugh till it hurts. Chicago provides a little of everything for absolutely everyone. Also, what ever you do, never ever, under any circumstances, ask for ketchup. Q: What’s do you suggest to people for next year that come to Taste of Chicago? A: I would personally suggest just sticking to the “taste” options from all the vendors. Don’t get me wrong, going for the full meal choices are all amazing and phenomenal, but I would recommend using your tickets for as much as you can possibly get. Spend them across as many vendors as you can to really live Taste the way it’s meant to be. Oh, and without a doubt, apply double the sunscreen and only use SPF as high as you can. (Chuckles) You’re going to get a tan no matter what, I promise you. 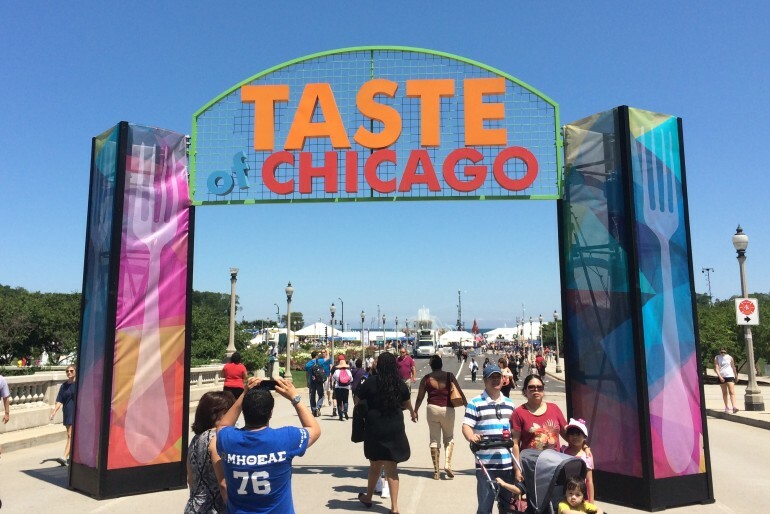 Learn more about the Taste of Chicago here – and catch it before it closes on Sunday!